As I suggested last week, February is a very busy time for both athletes and coaches with Junior Inter-regional Regatta Trials, Durham Small Boats Head and Great Britain trials all happening in consecutive weeks. The new club development is also starting to gather momentum as the club seeks additional funding streams; all very positive stuff. Durham Small Boats Head takes place on Saturday and as a result there will be no session on at the club, as most of us are racing and it is exciting to see that we have two j13 boys and girls quads racing for the first time at a head event. So, if you are free, please come and support the club. The draw will be posted on the website (follow the link below) but as far as we know, all entries were accepted and everyone who entered will get a race in their chosen division- please see the Facebook posts for crew lists. The weather forecast looks ok, with little wind and temperatures around 5 degrees, but still please make sure everyone is wrapped up. Be at DARC at least an hour before you boating time please. The Hermitage session isn’t at the school tonight, therefore the session will be at CLS from 7; there are exams taking pace for the next two weeks. A solid performance from the Senior/masters squads at Tyne United New Years head at the weekend, with Rachel Lombard coming in winning the WMASC 4x in a composite with TYU while there were also good performances from the women’s quad and masters men coming in 2nd in the masters ABD category. Before we realise our Regatta will be upon us. Brian has arranged a meeting for all parents and members to attend to help run the regatta which is our biggest source of income from our only event during the year. 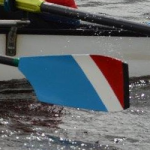 Regatta meeting Wednesday 7th Feb at boathouse 7pm.